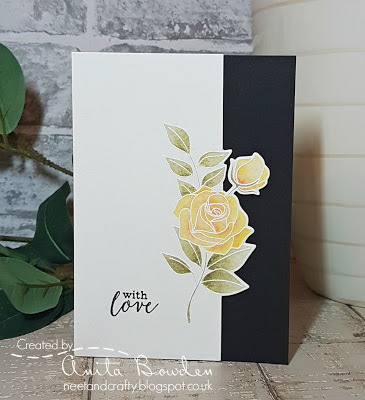 I haven't watercoloured like this for a long time, so I had fun with mixing Distress Inks to create different shades for my flowers. Beautiful card Ardyth. The watercolor on the blooms is so pretty. Beautiful! Loving the sharpness that cut edge gives to the gorgeous yellow blooms. Absolutely gorgeous ! The colour is wonderful ! 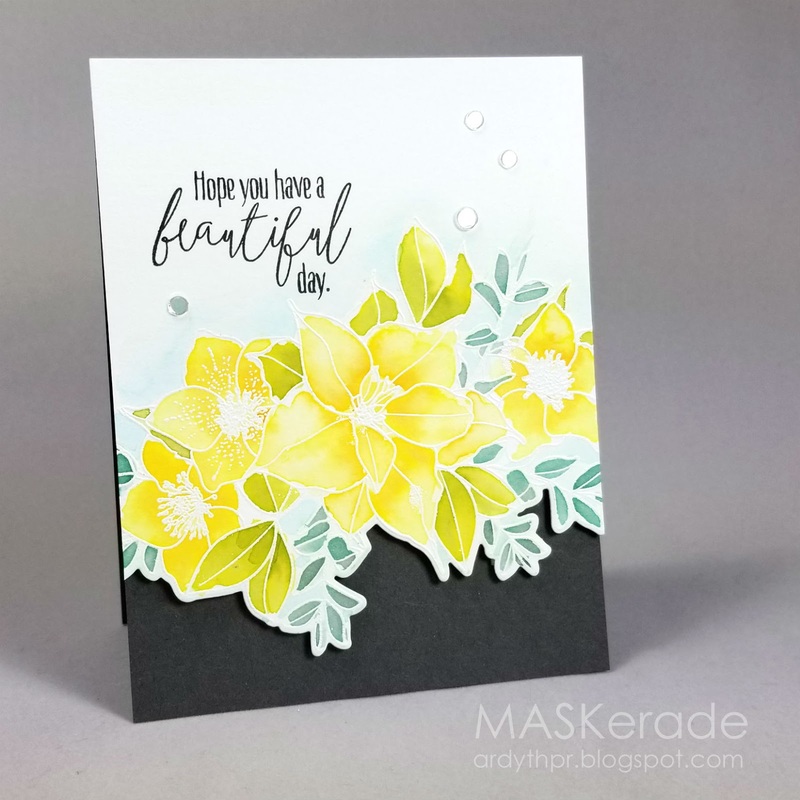 Such a gorgeous card, Ardyth! Beautiful watercoloring and I love how you combined challenges with your design...very clever! 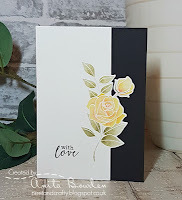 This is the card I came to see... and it is sooo beautiful! Love it.